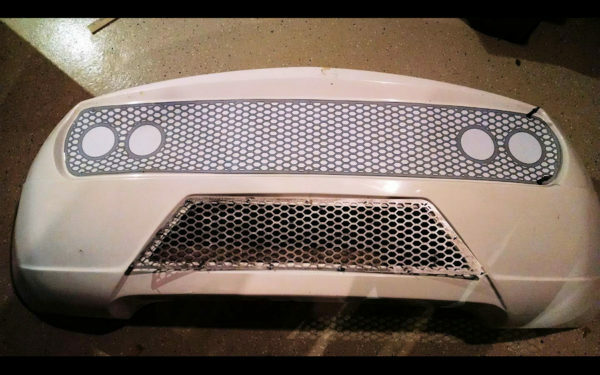 FFR provides round hole mesh and a separate 1/2″ trim ring for the rear lower bumper cutout. The round hole mesh has an open ratio of approximately 70% which reduces airflow. Round hole mesh, while simple and cost effective, seems a little 2005ish (the last year Ferrari used round hole mesh on their challenge cars). Many modern exotics and hypercars like the McLaren P1, LaFerrari, Lamborghini, and the Pagani Huayra use an integrated hex pattern. 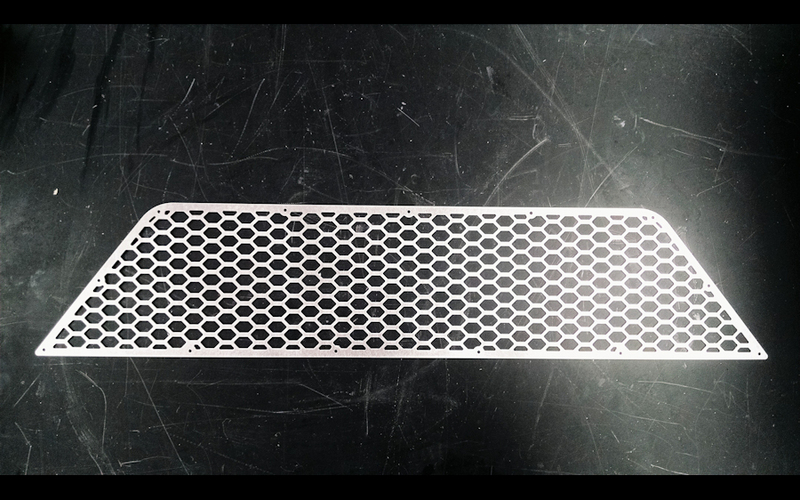 By integrating the mounting border and the hex cutout you get a more OEM integrated look vs a piece-parts look. Panels can ship with mounting holes for .125″ rivets or with flush mount pem studs for a clean install without visible fasteners for an additional $20 (includes nylock nuts for mounting with pem option). If you wish to press in your own pems you can purchase them from McMaster. Pem part number: 93580A220 Nylock part number: 91831A007. 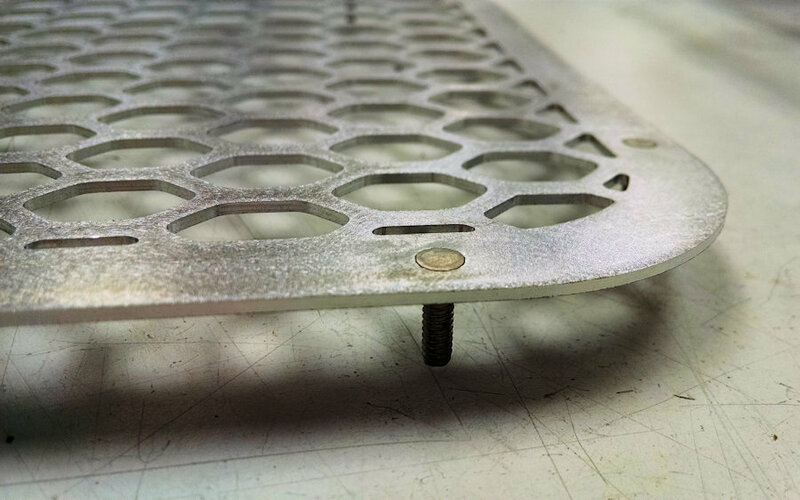 A 5 ton press is more than enough to press them in using an arbor to support the underside of the grille.